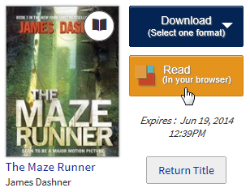 Use your library card or student ID to borrow a title. Titles you’ve borrowed will appear on your Bookshelf under your Account. Note: Magazines and newspapers work a little differently than other digital titles. See getting started with periodicals for more help. 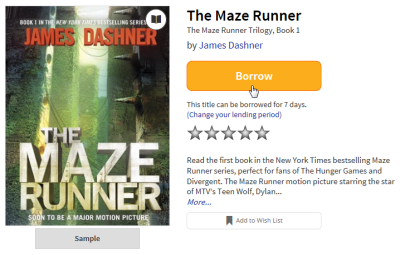 On your Bookshelf, you’ll find options for enjoying each borrowed title, like Read (read an eBook in your browser using OverDrive Reador MediaDo Reader), Play (stream a video in your browser), and Download (available for eBooks, audiobooks, music, and some videos). To see these steps in action, watch our OverDrive overview video for libraries or schools. What is the difference between an OverDrive account and your library account? Which devices can sync your reading or listening progress through your OverDrive account? Every time I call no one answer the phone. It is 1:14pm and it is suppose to be open. Please help. Is not the first time either. The main phone number at 250 Broadway is 973-321-1223. To reach the main office call 973-321-1217 for assistance. I have noticed sometimes search engines do not have the correct information in the map block. You know, I should have just asked for you to set me your phone number and a good time to get a callback. If that suits you just send a reply.